Aircon: Why Is My Air Conditioner So Loud? A country like Singapore is so hot in most parts of the year. The environment makes it difficult to sleep comfortably or concentrate in work-related duties if there's no constant supply of fresh air. But just like any other machine, an air conditioner can malfunction, thus exceeding the normal noise level. At this point, it fails to serve its purpose, even though it may still be working in good condition. Who wants noise in exchange for fresh supply of air? It has to be perfect in both ways. There are several reasons why your AC might exceed the normal sound level it was designed to produce. Blame it on the parts, and the wear and tear caused by age or poor maintenance. 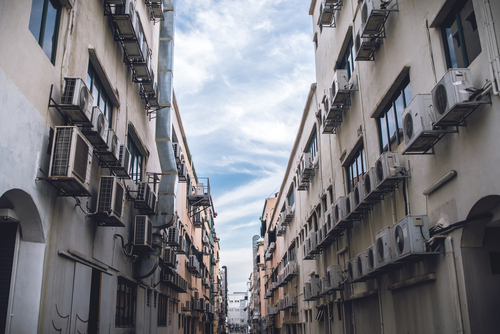 But again, noisy air con units have been known to continue serving for more years even after they become noisy, so it's never too late to do something to an AC unit that proves to be too loud. Basically, an AC has parts that can cause noise. The compressor, the driver motor, the fan motor, fan blade, blower wheel and blower motor can all cause noise, especially if you fail to maintain them as advised. It must be noted that all aircon units run with sound, thus it's impossible to find a unit that is dead quiet while in operation. However, the level of noise emitted also depends with the age and design of the unit. Older units tend to be louder than newer models. This has to do with the design and innovation since technology keeps revolving to make things function quieter. Therefore, if the unit you currently run is roaring instead of purring, it's not a sign that it's about to die on you. Some people generally feel that major components of their units, such as the fan and the compressor are too loud. In such a case, a professional may be able to help with advice, such as installing sound blankets, or exploring other noise-reduction options. Furthermore, regular maintenance by a HVAC professional may keep the noise in check by cleaning the dirty blades or lubricating parts that need to be lubricated so they don't operate with noise. But on the other hand, some noises may need to be fixed immediately. So in the event that yours is too loud, you may need to power it off immediately to avoid further damage. Rattling sounds are common with air con units that are loud. So just in case you wake up one day and discover that your unit is emitting this kind of sound, it may be due to something that fell into the vents, such as leaves, or other outdoor debris. Again, this sound could indicate something else, like a loose bolt that needs to be fastened. If none of the mentioned things are the cause of the loud noise, then the sound could be coming from the compressor itself. The compressor has a motor that may get loud with age. This may signal the onset of problems with your AC unit. Grinding noise is emitted as a result of a problem with the fan motor. If it gets louder by the day, it's a good sign that something may be going wrong inside the fan motor. Maybe it's a worn out bearing that is causing this noise. So you should confirm with a professional first if this is the case. The duct-work can also cause popping noise. This is very common where air supply cuts on and off. If this is the case, the problem may be with your duct-work, and not the central air con unit itself. The duct-work is also susceptible to aging, thus if not maintained, it may start emitting noise levels that are uncomfortable, thus interfering with the smooth and efficient operation of the unit itself. The duct-work could also produce a hissing or whistling sound in some cases. But on the other hand, if you're certain that the whistling sound is not coming from the duct-work, it may be a problem with your central unit itself. Whistling normally indicates a refrigerant leak. This is something that should be fixed by a HVAC expert. The first time you discover an unusual noise, check with the fan. The fan normally causes noise whenever it's worn out. Focus on the dual shaft motor because this part always has bearings that need to stay lubricated all the time. However, when this lubricant burns out, the parts will become noisy. The dual shaft fan motor cannot be repaired, so when it breaks down, you will need to replace it with a new one. A typical AC unit will have fan blades both in front and in the rear. The blades may break or get worn out with time. When this is the case, those components may start rubbing on the fan casing, thus causing the noise. However, if the fan blades are not rubbing on anything, then it might be an issue with worn out bearings. You can't replace bearings, so this will prompt you to replace the fan motor as a whole. 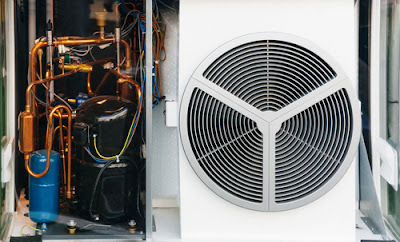 The components mentioned above are crucial mechanics of any AC unit, so it's easy to see why they might decide to squeak, whistle or just produce a popping sound. One thing you should know is that your AC unit also comes with AC filters. These special filters must be changed regularly according to the manufacturer's instructions. These filters become clogged with time. But generally, the rate at which they become clogged also depends with the environment of the home or premise. For instance, if there's more dust or cigarette smoke in the area, the filters will get clogged faster, thus needing replacement sooner. Secondly, your air con unit still needs occasional tune-ups done by a professional a few times a year. This will keep all the noise at bay.